As we know, most commercial DVD movies are protected with the Content Scramble System (CSS), a digital rights management (DRM) schemes used to stop piracy. Usually, CSS-encrypted DVD movies cannot be ripped or copied unless you remove the DVD copy protection. However, there are many reasons why people always like to rip DVD to video formats. For example, to share the videos online with more people, to edit the DVD movie in some video editing software, to play favorite DVD movies on portable devices like iPhone, iPad, iPod, etc. on the go, etc. When you are ripping a CSS encrypted DVD, the DVD CSS protection is a nuisance and you must want to get rid of it so that you can rip the DVD to the desired video format. But how to transfer decrypted dvd from computer to itunes or some other devices? Don't worry about it. With Aimersoft encrypted DVD ripper, all is a small piece of cake. 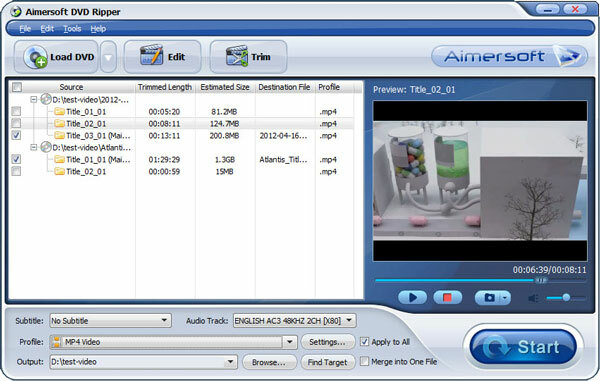 Aimersoft DVD Ripper is a professional DVD ripping tool to help you rip encrypted DVD to video and audio as you like. Almost all popular output video and audio formats, such as AVI, MP4, WMV, MPEG, MOV, FLV, MKV, 3GP, MP3, WMA, WAV, RA, M4A, AAC, etc. are supported by this DVD ripper. 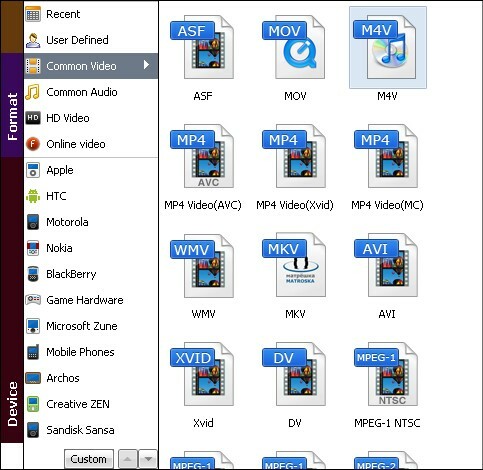 You can also rip the DVD to optimized videos for playback on iPad, iPod, iPhone, Zune, Archos, iRiver,Blackberry, Pocket PC, PS3, Xbox Xbox 360, etc. 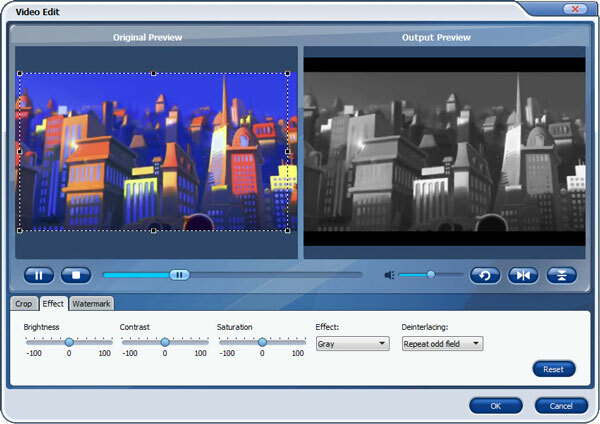 Besides, it allows you to Edit videos by trimming, cropping, adjusting effect, etc. Powered by NVIDIA® CUDA™, it gets a 6X faster conversion speed to help you convert encrypted DVD fast. If you are a Mac user, you can use the equivalent Mac version - Aimersoft encrypted DVD ripper Mac to rip and convert the copy protected DVD on Mac (Mountain Lion and Mavericks included). So just get the right version of Aimersoft DVD Ripper and follow the steps below to remove DVD CSS protection and convert DVD to popular video formats for playback and sharing anywhere. Tip: If you want to rip encrypted Blu-ray to videos, please turn to Aimersoft Blu-ray Ripper. And if you want to copy the encrypted DVD to DVD disc, you can use Aimersoft DVD Copy to help you do that. After downloading, follow the wizard to install the program. Then launch it. Insert the encrypted DVD disc to your computer's hard drive and click "Load DVD" to add the DVD file from your DVD disc. You can also add ISO files, IFO files or DVD folders for ripping. As you can see, added files can be preview on the right viewing window and you can freely take snapshots of your favorite movie scenes. If you want to edit your DVD movies before ripping, you can click the "Edit" or "Clip" button to open the video edit window. Video editing features like crop, rotate, adjust video effect,, add watermark and clip, etc. are provided. All the editing can be real-time previewed so as to ensure the video quality and effect. Now just choose you a proper output path as your destination folder for the converted movies. Video, audio and device output are all supported. Just choose the desired one. If you want to change the settings of the output videos, you can click "Settings" to change the video encoder, bit rate, frame rate, etc. Now just wait for the program to finish ripping encrypted DVDs. After the ripping, enjoy and share your video the way you like!